Sold now exclusively at the Disney Store, here we have the new Disney·Pixar Inside Out "5 in 1 Puzzle"! This is a boxed set of five separate cardstock jigsaw puzzles featuring all your favorite emotions from the film- Joy, Sadness, Anger, Fear and Disgust. Joy has 32 pieces (measures 13.1" x 10.2"), Sadness has 25 pieces (measures 9" x 19.6"), Anger has 26 pieces (measures 8.1" x 7.5"), Fear has 26 pieces (measures 10.7" x 5.8")and Disgust has 26 pieces (measures (9.5" x 6.4"). Each puzzle is recommended for ages 3+. 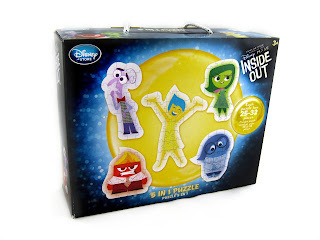 I love the box these puzzles come in and the designs of the puzzles themselves. 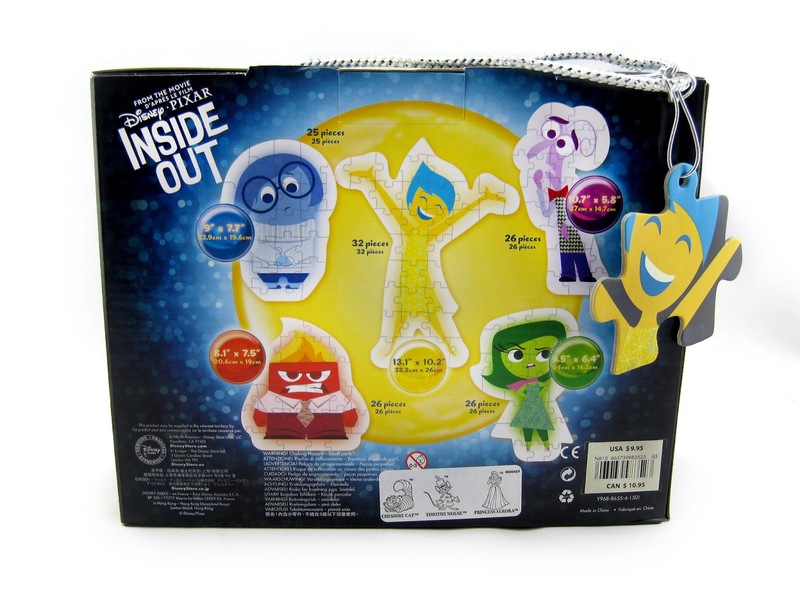 Once again, they are the same minimal character designs that we've seen on much of the Inside Out merch. 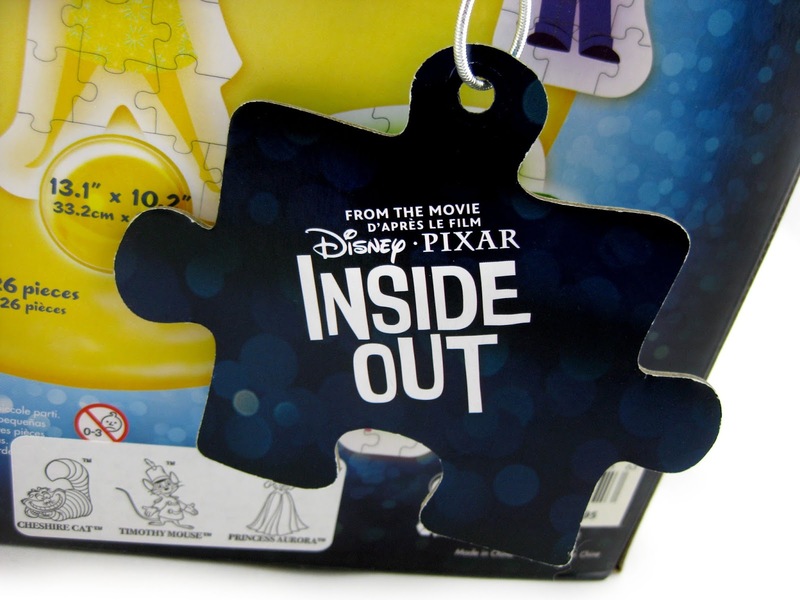 Notice the convenient carry handle with the reversible puzzle piece tag. On one side is Joy and on the other side is the film's logo. Classy little detail! This set retails for just $9.95, but is currently sold out on the Disney Store's website. If you have a local Disney Store, you could check there for availability or visit Amazon.com using the direct link below. They actually have this in stock (and Prime)! Whether you're a kid or a kid at heart who loves puzzles, you'll love these. Definitely get this if you have the chance. Thanks so much for stopping by and be sure to check back daily for more from my Pixar collection. If you have any questions or comments, feel to email me or leave a comment below!